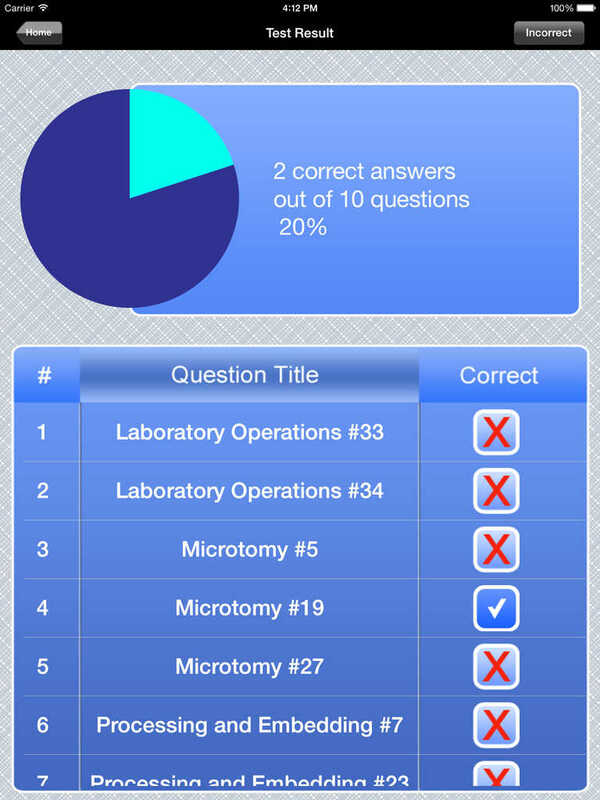 Upward Mobility presents our Histotechnician Exam Prep app, with over 300 review questions designed to help you study for the ASCP Histotechnician (HT) exam. 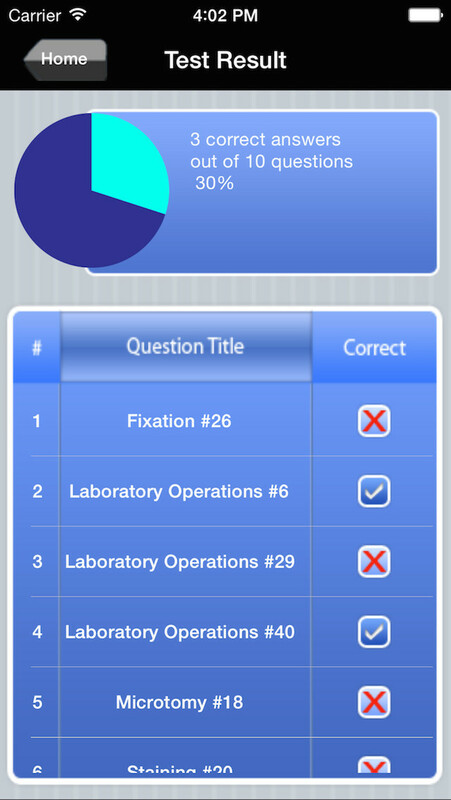 This is the ideal study tool for those working toward certification in histology and other medical laboratory sciences in clinical pathology. 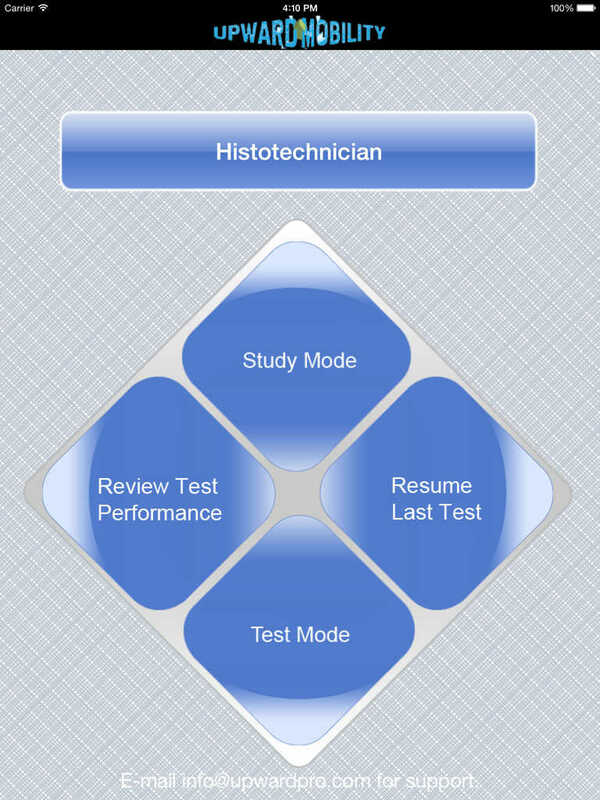 It also makes a perfect review guide for those advancing their careers in seeking their histotechnologist certification. 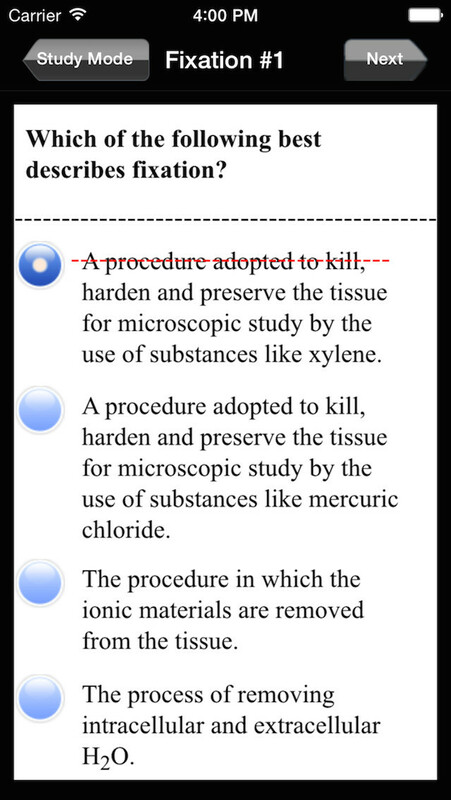 Our targeted multiple choice questions include detailed explanations to help reinforce your comprehension of the material. All our questions were written exclusively for Upward Mobility by histology experts. 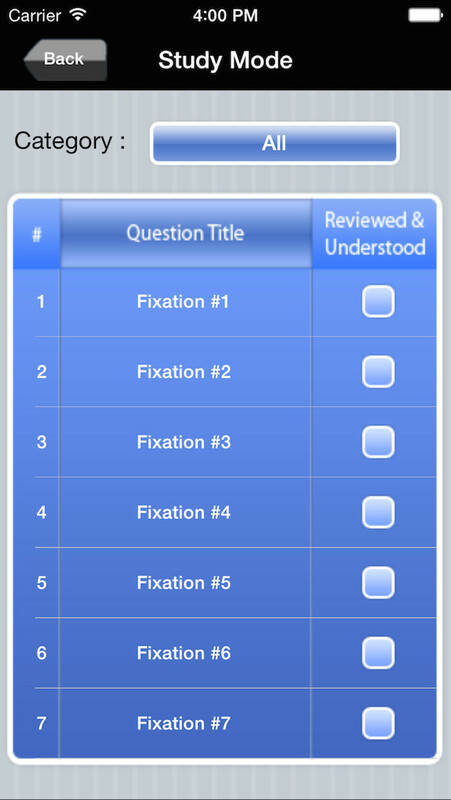 The app also features our exclusive, intuitive UI, including a study mode that lets you learn at your own pace, and a test mode that helps you simulate the exam experience.